OTA's Board of Directors adopted an official position on pollinator health. Read OTA's position below. On June 8, The Organic Center published a Critical Issue Report taking an in depth look at the challenges faced by honey bees and other pollinators. Over the last decade, bee populations have been declining at alarming rates, raising concerns about the impact on our global food security. Fortunately, according to The Center’s latest review paper, one of the simplest ways to conserve our pollinator populations in an agriculturally reliant world is through organic farming. Organic farming practices can provide critical solutions that not only decrease risks to pollinators, but actively support the growth and health of our pollinator populations. The studies reviewed by The Center demonstrate that organic farming practices alleviate many threats to honey bees and that organic farms support significantly more pollinators than conventional farms. Pollinator health and, in turn, food security have major implications for all of us regardless of our role in food production. While agricultural producers must adjust their practices to incorporate farming techniques that reduce risks for pollinators, consumers can also take action by supporting sustainable organic farming. Seventy-five percent of all crops grown for human consumption rely on pollinators, predominantly bees, for a successful harvest. But over the last decade, both native and honey bee populations have been declining at alarming rates, raising concerns about the impact on our global food security. Since 2006, U.S. honeybee-keepers have reported they lose 30 percent of their hives on average each winter. (Before then, they generally lost 5-10% of their hives each winter.) Experts worry that in the future bees won’t be able to sustain such a high hive replacement rate. 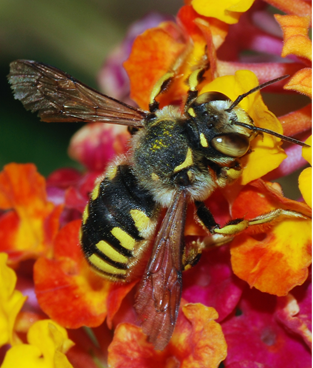 The National Strategy also does not recognize the pollination services native bees provide to agriculture – estimated at 4 billion dollars per year in the United States alone. Calls for new toxicity study guidelines to more fully protect honeybees; a reevaluation of neonicotinoids and neonicotinoid seed treatments; assessment of other pesticides for their potential impacts on pollinators; restrictions on the use of pesticides that are acutely toxic to bees; reduced exposure during planting of pesticide-treated seed; and expedited review of Varroa mite control products. Organic farming alleviates many threats to pollinators, and organic farms support significantly more pollinators than conventional farms. Organic farming standards prohibit the use of synthetic pesticides, many of which are highly toxic to bees and can be persistent in the environment. This includes a prohibition on synthetic seed treatment chemicals such as neonicotinoids, which are commonly used in conventional agriculture. Several studies suggest that these systemic pesticides have been linked to bee population declines. The organic standards also require that organic producers manage their farms in a manner that fosters biodiversity and improves natural resources. One of the most common ways that organic farmers meet these requirements is by planting insectaries that provide habitat and season-long food sources for pollinators. Organic farmers also use numerous integrative pest management techniques which promote environments that support beneficial insects such as pollinators by providing them with habitat, and use farming methods such as crop rotation which provide a diversity of nutritious floral food sources to reduce the prospect of malnutrition. OTA calls on USDA to ensure that the National Organic Program completes rulemaking on an organic apiculture standard, as called for by the White House’s National Strategy to Promote the Health of Honey Bees and Other Pollinators. OTA calls on USDA to investigate the best and most successful models – including diversified organic systems and practices within organic agriculture such as crop rotations, diversified planting, and hedgerows – for pollinator habitat protection. OTA calls on USDA to rely on existing research that demonstrates the superiority of organic in creating healthy pollinator habitats. Recent studies have found that organic farms support an average of 50% higher pollinator diversity than conventional farms1. One of the biggest threats to bee health is exposure to toxic chemicals, and organic production prohibits the use of synthetic pesticides that have been shown to have negative impacts on bees2. Additionally, organic farming supports pollinator health by providing a more diverse landscape that affords more abundant and higher-quality food and habitat to both native and managed bees3. The habitat heterogeneity of organic farms can have an exponential benefit on pollinator health. By increasing habitat and food sources available to bees in agricultural landscapes while reducing the applications of toxic chemicals, organic farms can promote pollinator health4. OTA calls on USDA to create additional incentives for organic production tied to its success as a pollinator protection strategy. OTA calls on USDA to expand the programs – conservation or otherwise – through which producers can get assistance in establishing appropriate pollinator habitat. OTA calls on USDA to prioritize organically managed habitat in these programs. OTA calls for USDA and EPA to recommit to the goal of identifying and recommending alternatives to neonicotinoid pesticide use throughout American agriculture, and to leveraging organic systems as the best platform to reach that goal. OTA calls on USDA to rely on existing research as well as engage in new research to assist American farmers in organic conversion in order to benefit pollinators. OTA calls on USDA to recognize that interspersed organic farms in agricultural landscapes would provide beneficial refuge for pollinators and benefit all of agriculture. To that end, OTA calls on USDA to create additional incentives for organic production tied to its success as a pollinator protection strategy. OTA calls on the White House to amend its National Strategy to include an emphasis on agricultural production methods as a valuable solution to our pollinator problem, and to recognize organic farming practices as particularly beneficial to pollinators and their healthy habitats. Eiri, D.M. and J.C. Nieh, A nicotinic acetylcholine receptor agonist affects honey bee sucrose responsiveness and decreases waggle dancing. J Exp Biol, 2012. 215(Pt 12): p. 2022-9. Kehinde, T. and M.J. Samways, Management defines species turnover of bees and flowering plants in vineyards. Agricultural and Forest Entomology, 2014. 16(1): p. 95-101.